14 people found this review helpful! I just installed SimpliSafe. Happy with product as far as use. Installation was relatively painless. Function is easy. I am concerned about the life of batteries. I’m also concerned about how the local departments will respond if there’s an event. I’m not happy about being informed to file permits with local police and fire department as “self installed.” According to SimpliSafe, in my local jurisdiction the police or fire department will only come out if there is visual confirmation. So, if alarm sounds they will only respond to visual confirmation? What does that mean? Someone has to see a break in or a fire? Apparently the alarm sounding is not enough to trigger a response from fire or local police. This I information was made to me only after purchase. I signed up for basic monitoring not only so authorities are aware of there’s an event at my home but also to use the app to controll SimpliSafe functions from my mobile device. One must upgrade monitoring to premium monthly package to use app to control system. Every other appliance in my home including thermostat provide apps that are free to use to control functions in house. This is very disappointing that a security company that prides itself and sets itself apart from other companies as being affordable takes advantage of not allowing the use of an app unless one pays premium monitoring. Poor equipment,POOR CONNECTIVITY,NOT dependable.I come home constently with system offline. 16 people found this review helpful! I had problems with false alarms. They used a third party monitoring company. The third party monitoring company verified I gave them my safe word and requested no officer be sent. Despite my request an officer was sent. They refused to take responsibility! This did not just happen once but three times. So I canceled the service. Once I canceled the service they never stopped billing my credit card. This place is a scam!!!! 17 people found this review helpful! I purchased their newest system as well as every component monitoring everything from fire, water to entry points as well as temperature sensors. I have at least 40 sensors in operation. Its been three months and thus far I have no complaints. Customer is a headache to get hold of. i called today and was on hold for 23 minutes before I was able to speak with someone, who additionally attempted to sing in my ear between her speaking. Online return requests should be available also. Simpisafe is an affordable decent system, but the customer service needs to drastically improve. My comparison would be that they are along the lines of the Comcast level, when it comes to service. Simplisafe has come out with an upgraded system this year and it’s very, very good. 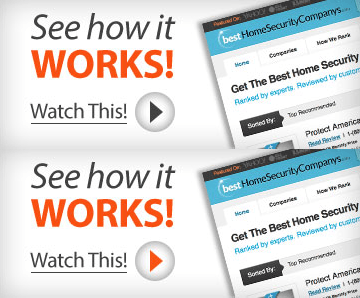 It’s a simple, easy to install system that delivers on it’s promises to be just that…simple. If your looking for Fort Knox security with this system, it’s not that. The system comes with a keypad and a base station standard then you can add door sensors, CO detectors, smoke detectors and a variety of other devices. The system is offered in packages or ala carte style, which is what I did. The 2018 upgraded system has Wi-Fi added which greatly improved the reliability of the monitoring response and the automatic push notifications to my phone. I installed the system in about 2-3 hours which included taking my old system down. With the phone app I can arm and disarm my system, get alerts, and even see if a door is open when the system is off…which is awesome if you have teenagers at home or elderly parents, etc..
19 people found this review helpful! I waited over 25 minutes for a customer service rep to answer and when she finally answered and I asked “why the long wait for a security company?” and started to ask a question about my panic button she HUNG UP on me. My, what well trained customer service reps you have Simplisafe, you must be very proud. Worst experience ever with a company that is supposedly to be protecting you. Glad I never had to call during a break in, “ excuse me Mr. criminal, I’m on hold, so can you hold on till someone answers?” What a joke of a company. We were broke into with the newest version of simplisafe, and the burglars must have watched the video on Youtube on how to smash the base station within the delay period before the system can call the operators, and we got cleaned out. The burglar took a magic marker and wrote on the living room wall: BUY A REAL ALARM NEXT TIME. I have a photo of it. My insurance company is not covering the claim because they said that Simplisafe is not UL Listed. STAY FAR AWAY FROM THIS COMPANY. We called a local company. Have had the SS2 system for almost 5 years and it has worked flawlessly for us. I run a test on the system once and await and very thing always checks out OK. It works so good I ordered the new SS3 system. Now I will say one thing bad and that is their customer service. It is hit and miss. I have not needed to use customer service other then a couple of times, one time good the other time not so good. Over all the system has done what is was designed to do. Secure our home.. I am using SimpliSafe for three years in two commercial properties and my home. I have no complaints. Good fast response to alarms and the equipment has held up good inside and outside of my buildings without any issues. Horrible customer service. We had three fake allarms, and the customer service NEVER called, so, for three times in six month the police was knocking our door. After the second arrival, we got a warning letter from the police, letting us know that we are gonna pay a fee if they will come back to a fake alarm. We tried to tald to a supervisor, we waited in line for more than two hours and we hang up, because nobody answered.Today they came for the third time. Again a fake alarm, and customer service never called, though thwy have three phone numbers. Now We tey to talk to a superviser, we are waiting already for more than an hour on the phone, to talk to a supervisor and nobody answer. We are good to pay a police fee, because their sloppy job. If you are not in a Verizon or TMobile area do not waste your money on this system period. They have terrible customer service and are quick to send you the hard wired fix and that works of course but the app does not connect via the hard wired solution. I really wanted to use this system. We bought the SimpliSafe system 6 months ago because it was on sale but we hadn’t finished our remodel yet and was not ready to install, I’m now ready to install but only to find that the sensors are so big (3″ L x 2.25″ H x 1.5″ W) that will not fit in the window area they hit the blinds or don’t fit at all so I went to their site to see what options I have and I see now that they have a new system that has very small sensors so call them to see if I get the new sensors. I talked a customers service person and she told me that there is nothing they can do and I would have to buy a whole new system as the new sensors are not compatible, I asked if I could return it for credit (Still New In The Box) as it is new and I never opened anything but one sensor and would buy the new system, still no it been over 60 days no returns. I also talked to 2 mangers they told me the same thing, this is just pour customer service all I wanted was a system I could use and I would start sending them $14.99 a month but now I’m going sell this on ebay and go with another company. If this is how SimpilSafe wants to start a relationship with a new customer it’s a BAD start. How are things going to be down road, what I’m I going run into, sorry just not going with SimpilSafe and can’t recommend them to anyone, this is their loss not mine, just stay away. Have had two false smoke detector alarms. The home is a a lake house and we live two hours away. Neighbors have been asked to check out the house and found nothing. Customer service response is a shoulder shrug and nothing more. I HAVE ZERO CONFIDENCE ON THIS SYSTEM AND DO NOT RECOMMEND IT TO ANYONE. STAY AWAY!! Cheapis not always the best alternative. AGAIN, STAY AWAY!!!! Don’t buy this system, it is cheap junk. Customer service is terrible, they don’t stabd behind it, they can’t fix it. Ir’s junk. I ordered a system from them and it never showed up. After calling twice one week apart, they assured me that the system would ship out immediately. Nothing showed up after ten days. Checking the order history, it was obvious that it had not shipped, despite them charging my card the day that I oredered it. After another 1/2 hour wait on the phone, I got through and canceled my order. It has been about 3 months now and so far Reliable Alarm System. My issue is No Link to Base Station frequently! Check your Base Station every day. Test Siren once a week. Paid over $1700 for system components, plus monthly monitoring because of all the reviews and publicuty. Have not even been able to install all parts and components because of repeated ststem failures. Sensors repeatedly loose contact or mis-read to base station. Cameras do not stay in position, and cannot be tightened to stay in place. End up looking at floor more than anything else. Customer Service and Tech support lacking, to sa the least. Have been working with them to get system functional since day one….they string you along until you are out of your 60 day window, then refuse to allow return. I am paying for two systems because I cannot trust or rely upon simplisafe. DON’T BELIEVE THE HYPE. Anyone can pay for a good review, but it is harder to earn one. Notice they don’t have anywhere on THIER website for customer reviews, good or bad? They just cherry pic testimonials. Definitely do not recommend. 1) my dog continues to set off the motion sensor, and the company has no answer or advice to fix this — even though one of their biggest advertising points is that it can tell the difference between a human and a pet. 2) additionally, when they alarm goes off, and I pay for the monthly monitoring service for $14.99, Simplisafe has only called one time even though the alarm has gone off 4-5 times. It either shows they are assuming it is a false alarm, which isn’t comforting, or the monitoring service isn’t effective and the company doesn’t get notified when their is a potential compromise of the security system — also not comforting given that I am paying for the $14.99 a month service for that very feature. 3) lastly, like any company with bad reviews…if you want to place an order as a new customer, they miraculously pick up your call in 1-2 mins. once they have you as a customer and you need help with the products you are paying for, it can take 10- 20 minutes on hold to speak to someone. I’ve had a refurbished package from simplisafe (purchased directly from Simplisafe) for less than a month and in that time I’ve had to replace the batteries in the key pad, had to get a replacement key pad when the screen went out, and had the alarm go off three times due to sensors just falling right off. I’ll repeat I’ve had simplisafe for LESS THAN ONE MONTH. This system is a complete joke.